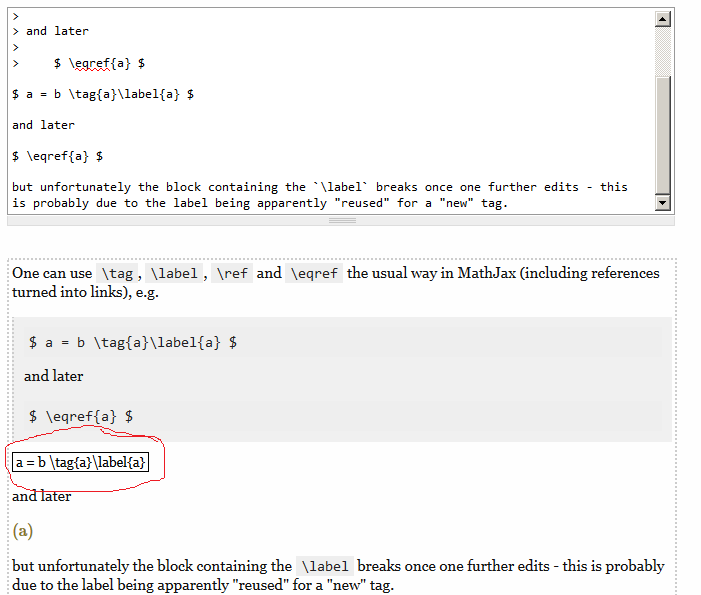 One can use \tag, \label, \ref and \eqref the usual way in MathJax (including references turned into links), e.g. I guess a simple fix would be not parsing \label while editing a question, although an even better solution would of course be somehow letting MathJax know the previous instance of the label shall be discarded. Browse other questions tagged bug status-completed mathjax markdown-preview .